September has the most birthdays of any month of the year – did you know that? If you have a little girl with a September birthday, then make it a day to remember with Beatrix Girls! From party supplies to gift bags that kids will love, Beatrix girls has everything you need to make your daughter’s birthday a momentous occasion! www.toysrus.com and select Justice stores for $34.99 with instrument and stand. The Beatrix Girls music is NOW on iTunes and Amazon! 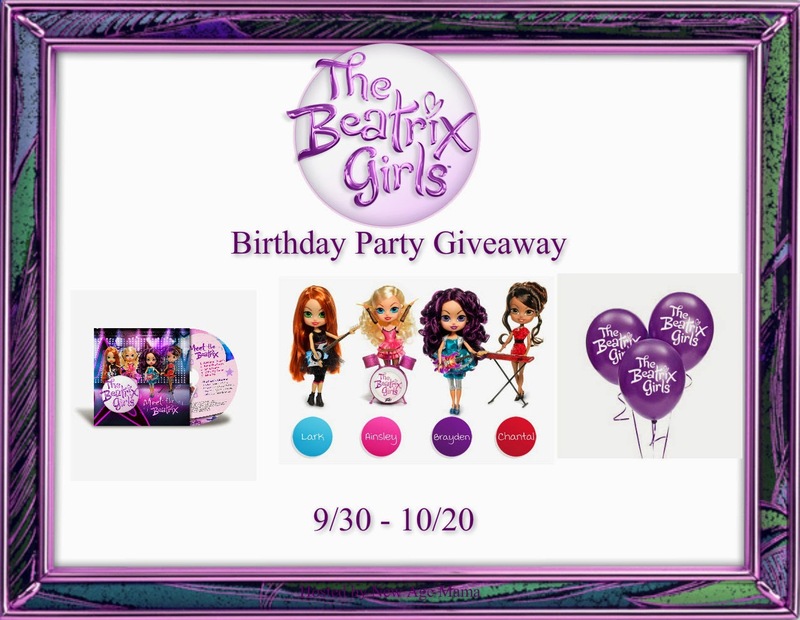 If you really want to score some birthday points, you’ll want to get your hands on the Beatrix Girls prize pack worth $375! To enter, just fill in the Giveaway tools form below. This giveaway will end on 10/20/14 at 12:00am EST. Open to the US only. The winner will be notified via email and will have 48 hours to reply. Thanks again to Beatrix girls for offering this fantastic prize. *Finger Click Saver is not responsible for prize shipment; nor did FCS receive compensation for this post, in any manner. I like Ainsley as she reminds me of one of my granddaughters. 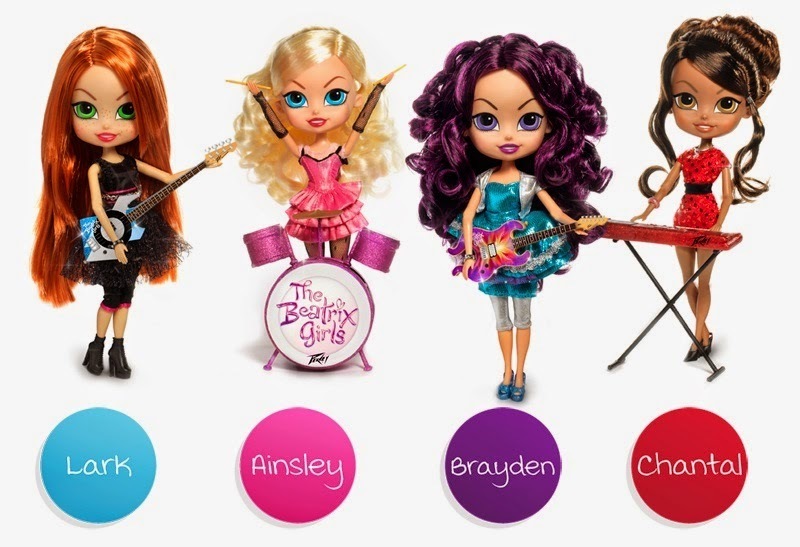 Our fav is Ainsley as she is a blonde drummer who wears allot of pink. So our girl identifies with her. My favorite Beatrix Girl doll is Lark. I like Brayden the most.